Open Doors is focusing on a week of prayer for North Korea, beginning April 24th. I signed up for the daily email and was fascinated by the first one, which covered the history of Christianity in North Korea. I didn’t know, for instance, that Pyongyang was known as the “Jerusalem of the East” with Christians making up 13% of its population in 1945. You can read this first email here. Sign up for the daily prayer emails for North Korea Freedom week and/or send a message that will be read over the raidio to North Koreans. North Korea is one of fifty countries on Open Doors’ World Watch List. Follow the link to learn more about these fifty countries and how you might pray for them. NOTE: The Prayer week is over. Read Open Doors’ encouragement to continue praying for North Korea. 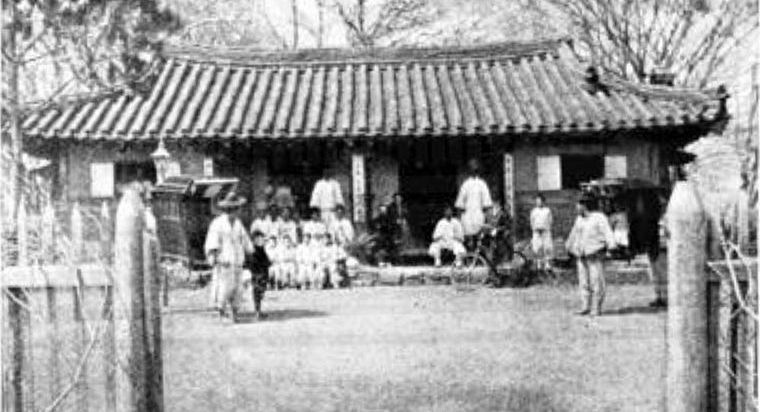 Learn more about this image of a church in North Korea in 1895.